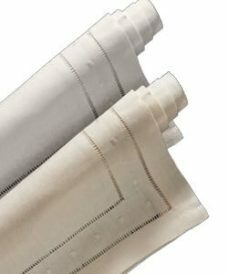 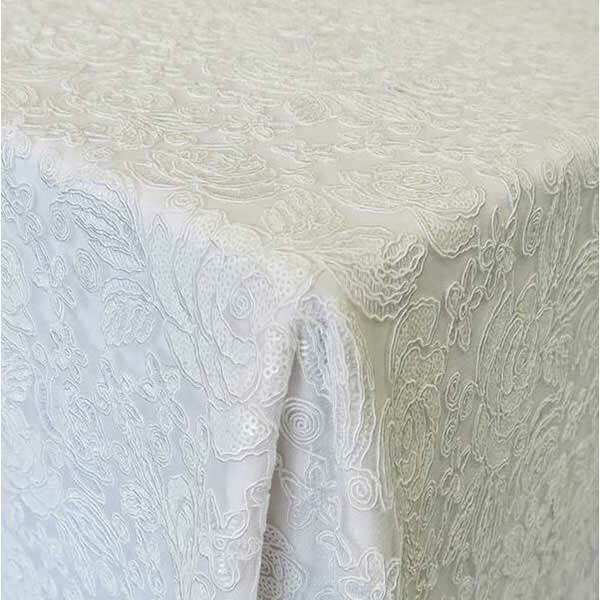 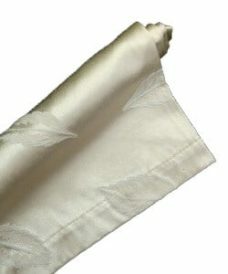 Ivory linen napkin with Matte Tafetta border. 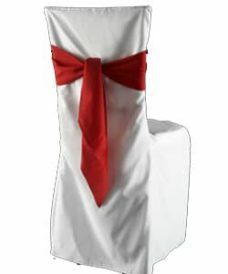 White cotton Chiavari chair cover pictured with red cotton sash. 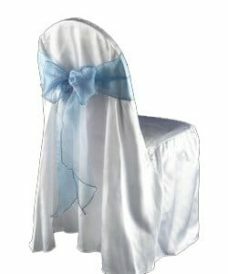 Chair covers fit Chiavari chairs. 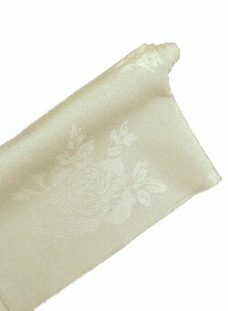 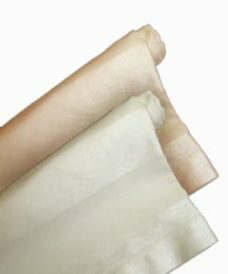 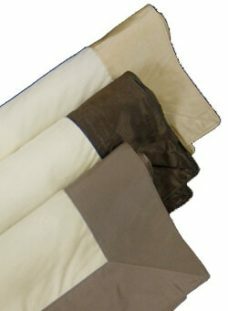 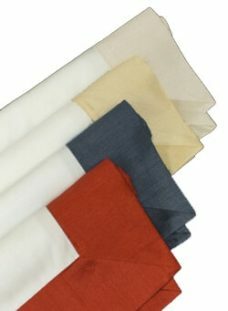 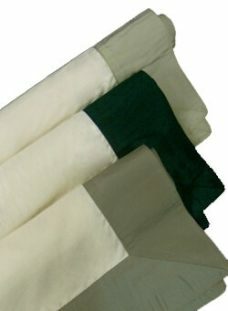 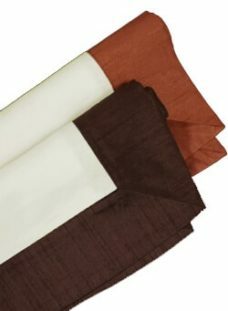 Please choose your sash by clicking on the the linen color and choosing the linen type. 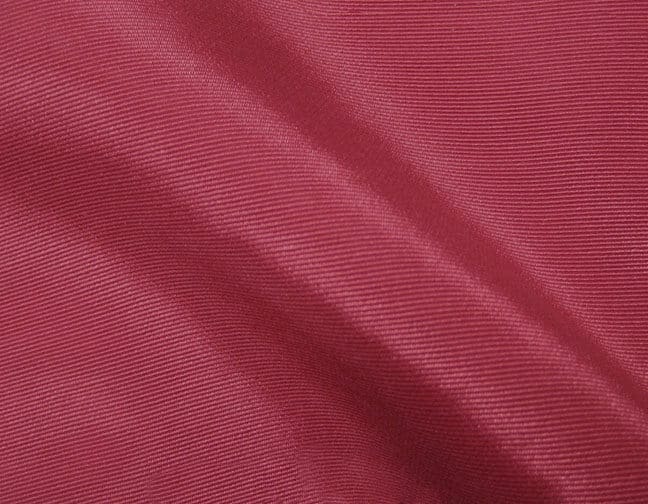 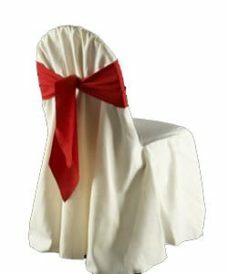 Ivory Cotton Ballroom Chair Cover pictured with Red Cotton Sash. 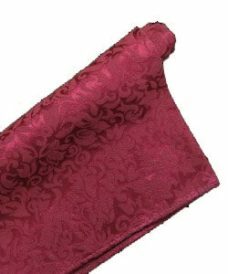 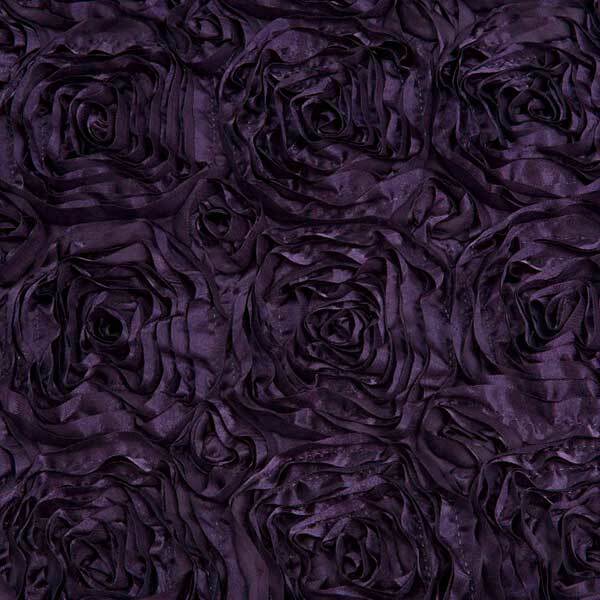 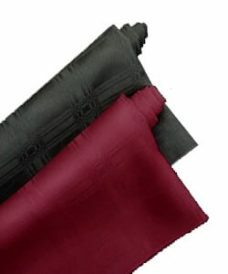 Chair covers fit Stuart’s Burgundy or Charcoal Ballroom Chairs and is also available in white. 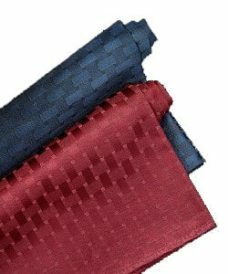 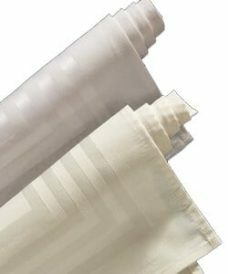 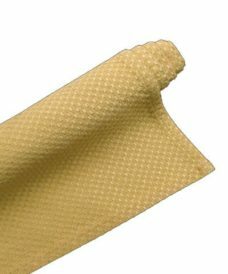 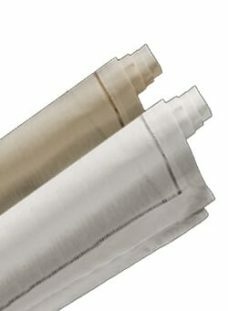 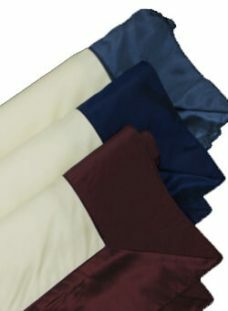 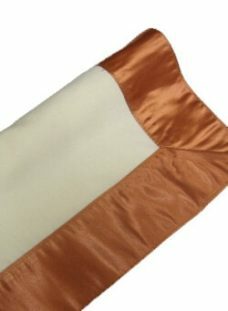 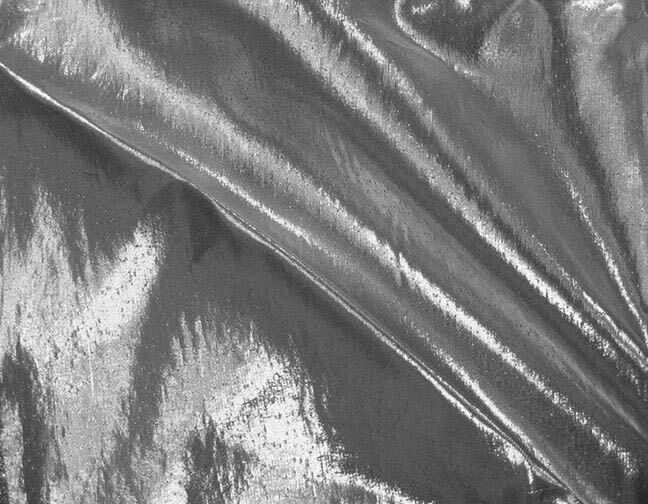 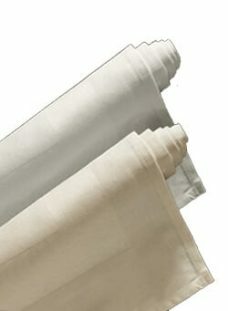 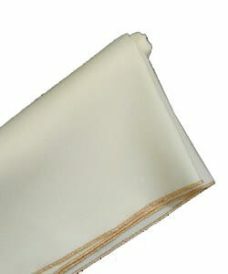 Sashes available in a variety of styles and colors.